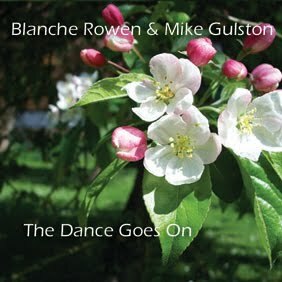 Acoustic duo Blanche Rowen and Mike Gulston: an eclectic feast of traditional and contemporary songs, with two voices in harmony accompanied by guitar, octave mandola, laùd and bowed psaltery. 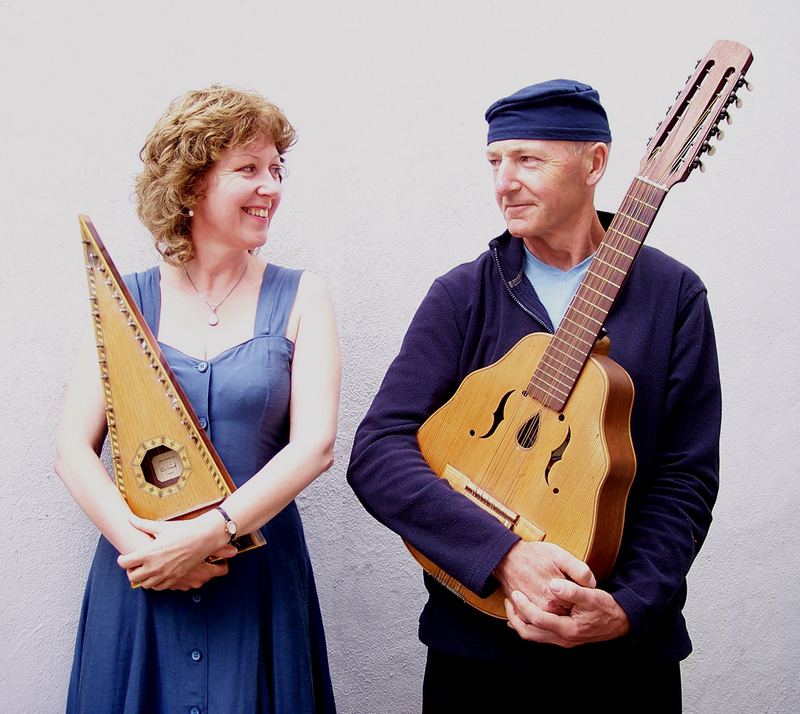 a unique blending of traditional songs from England and Wales; and the dance songs of France and Brittany. And some daft stuff, just for fun! Our second album The Dance Goes On celebrates the turning year and its customs, along with some mediæval favourites. There are contemporary songs here as well as ones from the English and Welsh traditions, and even Irish and mediæval French. From midwinter, through the greening of the land and the long days of summer to the time of hops and bonfires, the songs take you back to Yule feasting (with a difference) and another whirl round the circle.